It was such a pleasure to sit down and chat with Christel Oerum! She is focused, fun, and friendly, and definitely doesn’t let diabetes stop her from living the life she desires. Christel and her husband Tobias created TheFiBlog.com in 2014, to share their passion for fitness and healthy food. Diagnosed with type 1 diabetes in 1997, Christel uses this platform to share her experiences, tips and trick on how to successfully combine an active fitness lifestyle with great diabetes management. 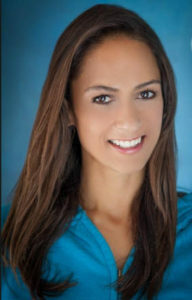 She left her corporate career in 2015, and is now a full time blogger, diabetes advocate, fitness competitor, and certified personal trainer helping others living with diabetes take control of their diabetes management and health. 1. 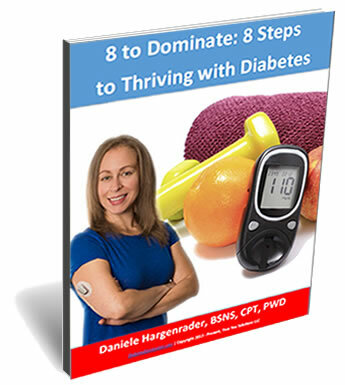 Set yourself up for success – do the upfront work and (through trial and error) find out how your blood sugars respond to different kind of foods, exercise and stress factors. 2. Be active – find an activity that gives you energy and run with it. I find that my diabetes management has become way easier to deal with when I’m active. 3. Do what you love in life – it’s funny how things seems to fall into place when you do what you love. Maybe it’s the halo effect, but everything just seems easier – diabetes, work, relationships, you name it.